Birds Eye is considered to be one of the founders of the modern frozen food industry and is credited with inventing a fast freezing process that preserves the quality of food. Founded by General Foods, which in 1929 bought the rights to use a fast-freezing process patented by Clarence Birdseye. Known in the United States as a "fish stick" (although not the same size size or consistency), where it has been suggested that in the 1920s they were invented in Massachusetts to help fishermen find larger markets for their increasingly large catches of cod. In Britain, the same but differently named product the "fish finger", was developed in its old factory in Great Yarmouth. Although fish sticks have a modern advertising campaign aimed at children, two thirds of fish sticks are eaten by adults. The advent of the microwave method of cooking increased demand for frozen food. In December 2009 Birds Eye was acquired by Pinnacle Foods, based in Cherry Hill, NJ. In March 2010 Pinnacle announced that it would be closing the Rochester headquarters and moving operations to New Jersey. I am sure everyone has had fish sticks a few times in your life. Growing up, mom used to make the boxed fish sticks all the time for us. I still love them today but they are expensive. When you open the package there is hardly any inside. It's crazy! 2012, Christine's Pantry. All rights reserved. In a bowl, add eggs and beat. In a separate bowl, combine flour and bread crumbs. Season fish with salt, pepper and garlic powder. Dip fish in egg, then dredge in flour mixture. Making sure fish is completely coated. 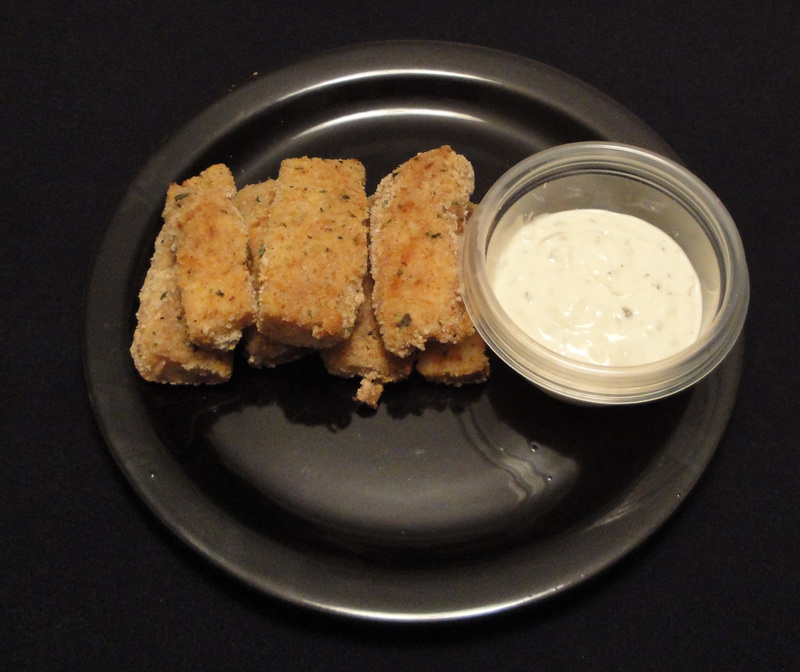 Place fish sticks on baking sheet lightly coated with nonstick cooking spray. Making sure fish sticks aren't touching. Bake for 15 to 20 minutes, turning once, until fish is cooked through. Serve with tarter sauce or your favorite dipping sauce. Enjoy! Try wrapping them in Japanese nori seaweed and dipping them into a light soy sauce! My sister claims she hates fish but I've seen her eat fish sticks. She says there's a difference. I think she would like your fish sticks! What a clever way to reconstruct and produce a childhood food! Brava. So great to be able to control the ingredients. This is a good idea. This is a really good recipe, I ate a lot of fish stick growing up. My little girl would gobble these up without complaint! And they're baked too! :) Thanks for sharing! I love that you made these on your own- they look great! Thank you for all the amazing comments. You're the best! Thank you, Baker Street! Enjoy!